There are not many cities that boast an island in their centre, but Vancouver is one that does. 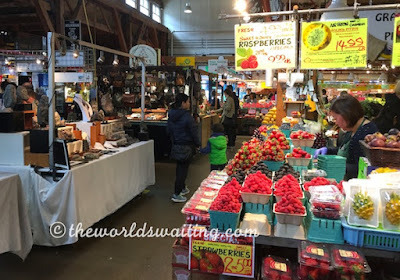 Granville Island is famous for its public market but, with the huge variety of evident artistic talent and many cultural activities also taking place, it is much more than just a market. Nestled in between downtown Vancouver and the southern suburbs, one-time industrial area Granville Island has transformed into a cultural centre of quirky art and delicious food. It's a not-to-be-missed destination next time you're in Vancouver. As the main draw card to the island, Granville Island’s Public Market does not disappoint. The daily displays of fresh local and exotic produce entice visitors into the market place, the scent of freshly baked bagels other specialties makes stomachs rumble. The crafts on offer delight and intrigue, and the buskers entertain. The Farmers’ Market offers fresh plants, fruits, vegetables and other produce such as meat and fish, and another section offers ready-to-eat delights such as street food, delicatessen and cheeses. A separate area is dedicated to unique boutiques selling locally created arts and crafts such as jewellery, glassworks, ceramics, photography, fashion, hats, postcards, kitchenware, candles and gifts. For a small island Granville Island is bursting with artistic talent. 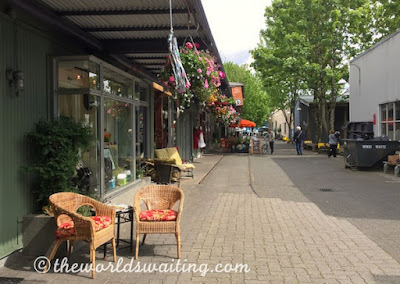 With over 50 artisan studios and shops on Granville Island the streets are buzzing with creativity and artistic flair. From glass art and hand crafted jewellery to paintings, woodworks, leather products, metal works and even exotic crafts, there is a huge variety of arts and crafts to appreciate and explore. 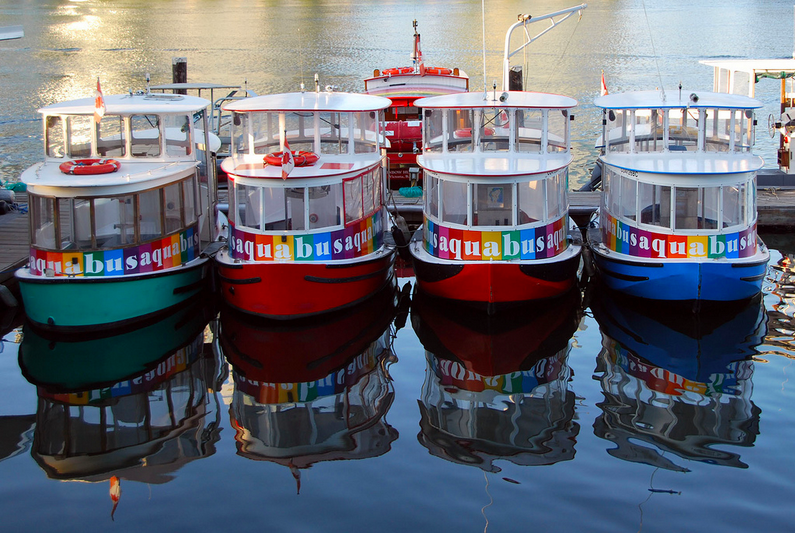 With it’s own marina, Granville Island is a hub for local boat traffic, and a great place to start a boat trip to admire Vancouver from the water. Visitors can take scenic tours of English Bay from the island, or catch the False Creek Ferries to take a look at False Creek Inlet or a scenic city daytime or sunset tour. The cute little boats keep passengers close to water level, maximising the chances of getting up close and personal with the harbour seals too. Kayak and whale watching tours also depart from the island. The wide variety of food available on Granville Island is a clear reflection of Vancouver’s diversity. While delicious snack foods are available from the market, Granville Island is also host to a number of impressive restaurants, bistros and cafes, many offering magnificent views from waterfront locations. A variety of cuisines are available including Italian and Indian; there’s even a pub, steakhouse, bakery, chocolate shop and organic coffeehouse. 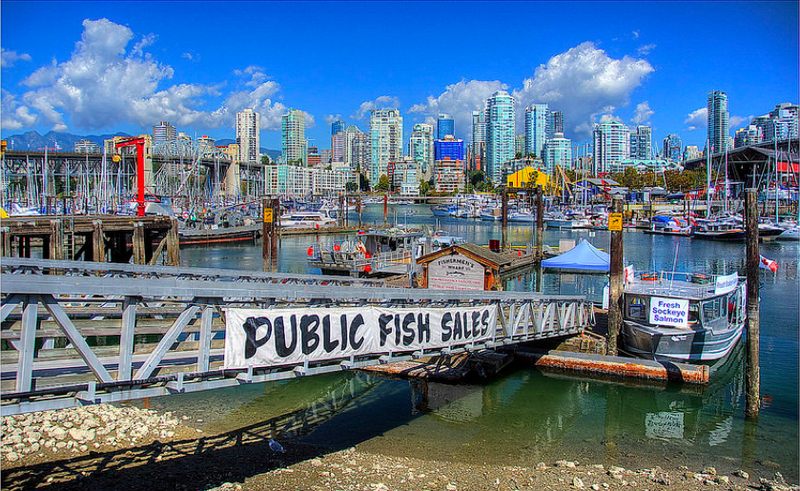 The real jewel in Granville Island’s culinary crown has to be the fresh local seafood – don’t miss out! If you’re more partial to a drink, British Columbia’s first ‘cottage brewery’ is on Granville Island and offers brewery tours and the chance to try local ales. As well as the artistic, Granville Island has a strong culture of performing arts. With performance venues on the island it is easy to catch one of the regular shows such as stand-up comedy, classic or contemporary theatre. As such a magnet to creative souls, Granville Island is the obvious place to hold lively and colourful festivals. With music, literature, sports, performing arts, children’s and food festivals regularly taking place there is a festival for everyone. As if everything happening on Granville Island isn’t exciting enough, there is also a Kids’ Market. Housed in a 100 year-old factory building, the Kids Market offers activities such as magic and juggling, an indoor adventure zone, waterpark, clowns, puppets, paper arts activities, and the largest toy shop I have ever seen. Good luck come hometime! Have you visited Granville Island? What was your favourite part?